This is a corporate thriller with banking and audit backdrop. A commission is enquiring about a fraud in banking sector where loans were disbursed by banks to some companies taking few properties as collateral which were too much overvalued than actual price. The properties were shown as 4 to 5 times more value than original to get the loans from the bank. Due to the negligence of bank senior and junior management, these kind of loans pushed these banks to bankruptcy. 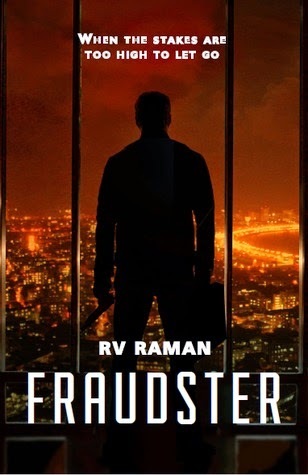 Story starts with the murder of a young banking professional Shruthi who deposes to the commission on the fraud. This murder is followed by a series of murders of Mr.Visht and Mr. Subbu who were also somewhat related to the enquiry commission appointed for the investigation of fraud. Inspector Ranade connects all the dots and tries to the find the actual culprit for all these murders. Varsha, Kunal, Manish and Ashwin are some other characters who help him in the investigation. Author is successful in keeping reader in suspense till the end. All clues are open to the reader allowing him to guess the fraudster, but it is not easy. Characterization of Varsha, Kunal and Ranade is good. Smallest details about banking jargon and hacking of blackberry and mail servers are explained well. Still, I felt, there is not much clarity in the story. At some places, it becomes confusing. We wonder if it is practically possible to plan fraud of such kind which involves multiple small companies who take loans from banks by overvaluing their assets even with political support. I would recommend this to anyone who loves fiction and crime thrillers. Story is fast paced, well explained and climax is good. But, this book didn't attract me like any Sidney Sheldon novel. You can purchase book from flipkart at discounted price here (Rs.175/-). Improve immunity with Dabur Chyawanprash!